“THERE are just too many memories here,” Tomas Ramirez tells me, holding back tears, with his 18-month-old daughter Katherine in his arms. “Everywhere I look I think of Fatima, who was the nicest, warmest woman, always chatty and friendly with everyone. 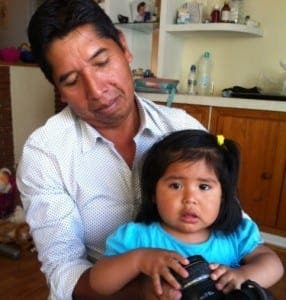 For now at least the softly-spoken Bolivian builder, 48, must stay in the home he made with tragic expat mother-of-three Fatima Dorado, who was cruelly scythed in a brutal road traffic accident exactly one month ago. The simple rented apartment in the heart of San Pedro feels strangely eerie. It is spotlessly clean, but somehow anodyne. 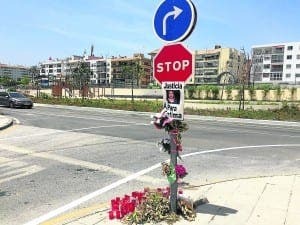 There are few signs that this was the two-bedroom home of tragic Fatima, who was killed by drunk-driving British expat Westley Capper, who failed to stop and instead went for a curry. It is uncluttered and quiet, but the very opposite of Marbella luxury, sparsely furnished with a few personal effects and photos of the baby, but none of her mother. A tiny terrace has just enough room for drying clothes and there is a sofa, TV, a few papers and a telephone. The two-bedroom apartment with a small kitchen, overlooking a quiet San Pedro street below, feels like it was once a homely, happy place. But it is now very bare. Fatima and Tomas had both independently moved from Santa Cruz, in Bolivia, ‘for a better life’ and ‘more stability’, although they didn’t know each other at the time. Salaries are so low in Bolivia you can earn more doing manual labour in Spain than as an accountant or doctor back there. Tomas landed in Benidorm as a builder in 2000 and moved to the Costa del Sol two years later while Fatima arrived in San Pedro a decade ago with her then husband, Silvio, who promptly left her to return to Bolivia. It was a horrible start to life in Spain, but after a year, she met Tomas and the pair fell in love and had soon moved in together. 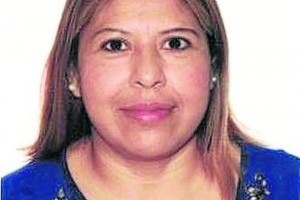 While Fatima embraced her life in Spain and had applied for nationality, she still had dreams of one day returning to Bolivia, where her older children, Carla Mishel, 19, and Sebastian, 15, were living. 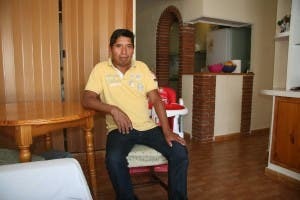 “She was grateful of her work here, but she missed her daughter and son back in Bolivia,” explains Tomas. But neither of them could have dreamed the horrifyingly premature circumstances of her return… in a coffin at a massive expatriation cost of €7,000 alone. Tomas looks reasonably well for a recently widowed man, wearing a white shirt and dark jeans, but his dark eyes reveal a sadness his friendly demeanour hides. He has had a dramatic lifestyle switch to full-time single-parent, with ‘not many friends’ to help out. 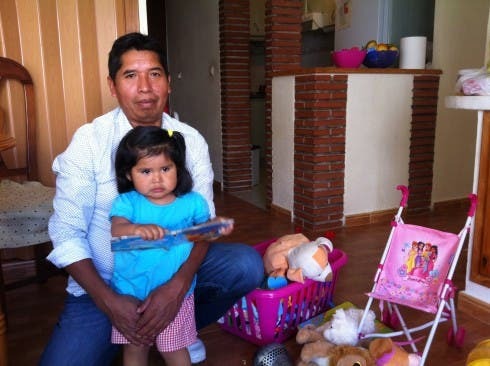 Between his salary as a builder and hers as a waitress at nearby Alabardero they used to be able to afford childcare for Katherine, as well as send money back to their four children in Bolivia – sometimes as much as €1000 per month. Now supporting himself and the baby is incredibly tough, let alone sending money home. It is hard for him to get a job and to find the necessary money to pay for childcare during the day. It is for this reason the Olive Press helped to launch The Fatima Fund, which has already raised almost €2,000 towards this endeavour. 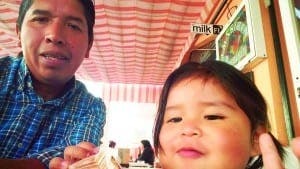 “The truth is I am still in shock,” admits Tomas, who was taken by police to see Fatima’s body with their daughter the morning after the accident. 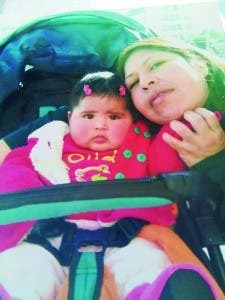 “She was a great mother, what little she had left after rent and food she’d spend on toys and clothes for our daughter. ats up and down the coast. So far, dozens have donated money to the fund, from as little €5, with many leaving touching messages of support. One said: “When I heard about the news I felt sick to my stomach, and wanted to help even if just a small gesture.” Another said: “I don’t know the victims or driver but I do feel the pain after reading the Olive Press. Meanwhile Fatima’s sister got in touch with the Olive Press to express her gratitude. “You did not have to do this and my family and I would like to send our sincerest thanks for your kind-hearted gesture, and thanks to all who have helped,” wrote Shirley Dorado Para. Tomas is deeply grateful for the touching tributes and donations however small, and with our help he may still give baby Katherine the future he desperately wishes Fatima could be here to see. Click here to donate to the Fatima Fund. BUDDING bowlers are being urged to sign up for a charity event at Benavista Bowls Club. Taking place on June 10, all funds raised will go to Fatima’s family. For more information call 952 885 148. 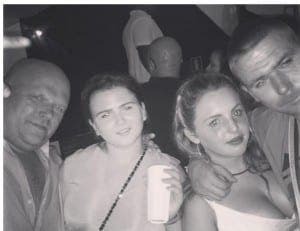 Fatima’s killer Westley Capper is awaiting trial in Alhaurin prison and has also been charged over missing Agnese Klavina, who disappeared from Puerto Banus in September 2014. The privately-educated expat has admitted killing Fatima, while being over the legal alcohol limit, as well as fleeing the scene of the crime and not helping. It could be as long as eight months before a court decision is reached. Meanwhile in the case of Latvian Agnese he is charged with unlawful detention along with his friend Craig Porter. In contrast, Fatima’s family is expecting a measly €1,500 compensation from the state to be split between her blood relatives, and it is supposed Capper will also have to pay up.